While often compared to marijuana, CBD (cannabidiol) is a non-psychoactive compound found in the cannabis plant. This means that CBD oil isn’t going to alter your mental state like marijuana would. CBD oil is made by taking the CBD from the cannabis plant and then diluting it with something like hemp seed oil. There’s no denying that it’s gaining more traction in the health and wellness field as more information comes out on just how this oil can help support your overall health. 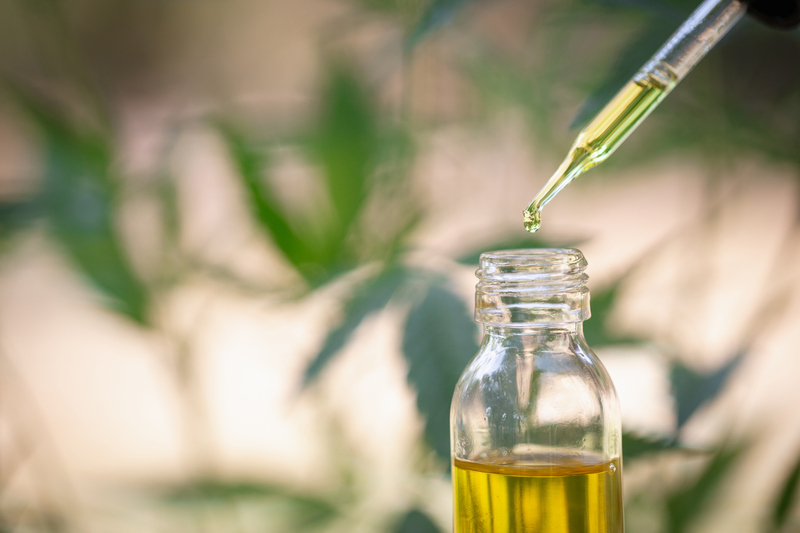 Let’s take a look at five reasons why CBD oil is becoming increasingly popular. #2 Promote a Sense of Calm: Another popular reason people turn to CBD oil is to help combat symptoms of stress and anxiety. Studies have found a positive impact on anxiety symptoms in those who took CBD oil. (2) Many people have found great success with CBD oil which offers a much more natural approach as compared to pharmaceutical medications that often come with additional side effects. #3 Improve Sleep: If you suffer from insomnia, CBD oil may be able to help. In addition to its well-known calming properties, CBD oil has also been studied for its use in helping those who suffer from insomnia. (3) If you have trouble sleeping, it may be worth seeing how CBD oil may be able to help you get a better nights rest. #4 Support Skin Health: CBD oil has been found to hold some promising benefits when it comes to skin health, and particularly acne. A study found that CBD oil may be able to help lower sebum production which is often linked to acne. (4) This is thought to be due to the anti-inflammatory benefit CBD oil has on the body. If you have acne, it may be worth looking into how CBD oil may be able to benefit you. #5 Anti-inflammatory Benefits: Perhaps one of the top benefits of CBD oil is its anti-inflammatory health benefits. With inflammation being at the root of nearly all disease seen today, it’s important to take the steps needed to reduce inflammation at its source, and CBD oil may be able to help. So, there you have it. Five reasons CBD oil may be able to benefit your health. Want to learn more about CBD oil? Tune into our Power Plant Podcast episode featuring Matthew Ruiz where we talk extensively about CBD oil and some of its well-known health benefits.